MCT oil is an awesome way to quickly gain mental and physical energy. Whether it’s to power through a workout, getting your work done, or overcoming the blahs of the low carb flu it’s a great supplement without the negative side effects some of us get from caffeine. If you like to use caffeine for energy, MCT oil can help enhance its buzz and help you get after it even harder. I personally take it almost every day for an energy boost. I’m actually writing this article with a little help from MCTs I took earlier to help me power through and get it done in one sitting. The extra energy we get from MCT Oil is different from caffeine. While both get you up, focused, and able to get things done there’s no crash after a couple hours with MCTs. Caffeine on the other hand can leave you feeling pretty beat after it wears off. That’s what happened to me this morning and why I took a tablespoon of MCT Edge before I sat down to write. How Does MCT Oil Give You More Energy? They way they do this is due to how they’re used by our body. Unlike other fats we eat, MCTs, short for medium chain triglycerides, skip the digestive process others fats go through and are instead sent straight to your liver. They’re not stored as excess body fat. Instead they’re processed here to be used to energize and fuel your brain and body. Once they reach your liver the MCTs you’ve eaten are used to help make compounds called ketones. Ketones are a source of energy our bodies can easily use. You’ll notice its energy boosting effects kick in after about 30 minutes. They’ll last for several hours, longer than what you get from the caffeine in cup of coffee. Our brains really like ketones and can use them more efficiently that carbohydrates. So instead of getting an energy boost and crash like I do when I eat carbs, I’ll feel focused, alert, and ready. Increasing ketone levels in our body is also part of the process of using fat for fuel, which you may be familiar with and something I writing about for a future article. If you’re interested in learning more about getting into nutritional ketosis I recommend reading this article. Short for medium chain triglycerides, MCTs are a type of fat that’s found in many foods. They include coconuts, butter, and cheese. There are 4 different types of MCTs which I discuss the importance of below. 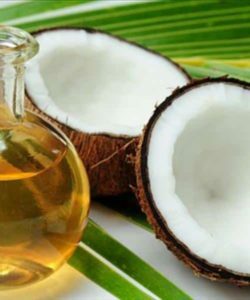 The MCT Oil you take as a supplement is extracted and refined from coconuts and palm seeds. So instead of getting a small amount from the foods listed above, you get a 100% pure source. 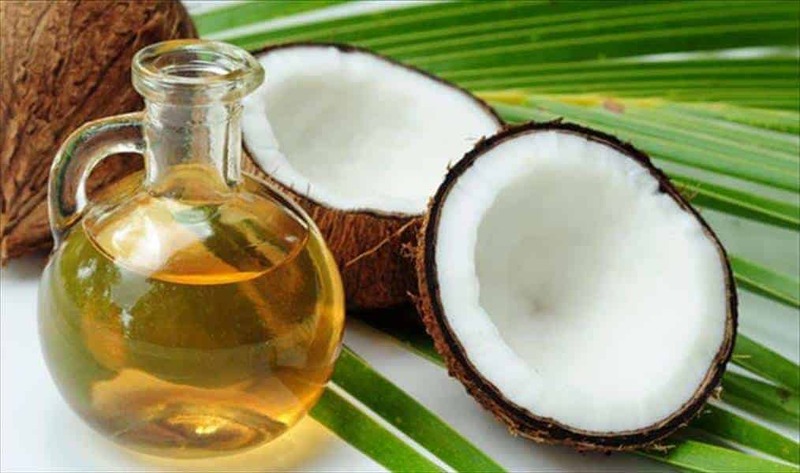 A quality MCT Oil will actually contain 2 of the 4 different types of medium chain triglycerides. They are capric and caprylic acid. The reason you only want to consume these 2 MCTs is that they’re the only ones that increase your body’s synthesis of ketones enough to give you more energy. MCTs are liquid at room temperature and can be used for baking, cooking, and frying. They’ve been consumed in their refined form for decades and are not bad for your health like trans fats or seed oils like canola and corn oil. Who Should Use MCTs For Energy? This is an energy supplement that’s great for pretty much all of us. As always, speak with your doctor before taking it or any supplement to make sure it’s safe for you. MCTs are likely to work the best if you follow some type of lower carbohydrate or ketogenic diet. The reasons for this are that your body is beginning to or is already using fat for its energy when you’re eating low carb. Taking MCTs increase your ketones a little more and keeps blood sugar levels low so feel energized and not overly tired even after a hard workout or extra hard day at work. MCTs have many other benefits which you can read about here. When Should I Take MCTs For Energy? Whenever you need a jumpstart or want to prevent an energy crash from occurring. Below is a list that gives you several times you may want to use them for a quick boost. When you’re adapting to a low carbohydrate & ketogenic diet. Before a workout, especially if you eat low carb/keto. An hour or so before you need to really focus or need extra energy at work, studying, etc. Before or with a meal that has more than normal amounts of carbs. Increase in ketones from MCT at time will keep you from crashing. Blended into your coffee and tea in the morning. When you’re fasting and have hunger pains/cravings that make you want to eat. How Should I Take MCTs For Energy? When you’re first starting out, it’s recommended to begin with a small dose. The reason for this is that they taking the recommended tablespoon of MCTs can cause an upset stomach if you aren’t used to them. Starting with a smaller amount keeps this from happening. So instead of an entire tablespoon, begin with ½-1 teaspoon at a time. Then wait an hour. If you don’t have an upset stomach, take another serving of the same size. Repeat until you’ve taken a tablespoon (3 teaspoons). Work up to taking 1-3 tablespoons a day as needed. It took me a week to be able to take 2 a day with no problems. Taking them with food also helps. It’s great mixed in guacamole , drizzled over meats and veggies, and used to sautéed and fry food. Which MCT Oil Is Best For Energy? The product my wife Monica and I use is MCT Edge. It’s our own product that we formulated after several months of research and testing. Every spoonful contains nothing but 100% pure, pharmaceutical grade medium chain triglycerides. The MCTs it contains are capric and caprylic Acids, the 2 which provide the most ketone boosting energy. There no other chemicals or nutrients added to our formula. Additionally, every bottle we make comes from sustainably sourced farms which take great care in ensuring that the environment and people where the come from remains protected for the years to come. Here are a few more key features and benefits to MCT Edge. Can be used for cooking and baking too. Blends easily into your coffee and shakes. Pharmaceutical grade so it’s pure and safe for you. You can read our complete review and purchase MCT Edge here. Now you know about an alternate source of energy that can help you get it done, whether that means a better workout, day at work, or something else. All that’s left for you to do is give it a try. Let us know what you think when you do. A couple hours have passed since I started this article. I’m going to go take some more MCTs and do another workout. MuscleGel Shots – Are They Good Alternative To Protein Shakes? Is Beta Alanine A Good Pre Workout Supplement?